A deck is more than just an entryway to your backyard – it’s an extension of your home. It’s also a major financial investment. For these reasons, homeowners should practice routine care, from sealing to power washing. Use the maintenance tips below to maximize the lifespan of your deck. Over time, a wood deck will accumulate dirt, mud, moss, and dead leaves. To prevent this debris from becoming trapped on the surface, use a scrub brush with a mild soap and water mixture to clean your deck when it starts to look a little grimy. Avoid using brushes with steel wool, as they can scratch the wood. Applying a sealant or a coat of paint every two to three years can prolong the longevity of your deck. Sealants create transparent films that preserve the wood against rotting, warping, and moisture that would otherwise lead to mold and mildew growth. After sealing, choose an oil-based stain product to further prevent any damage to the deck. 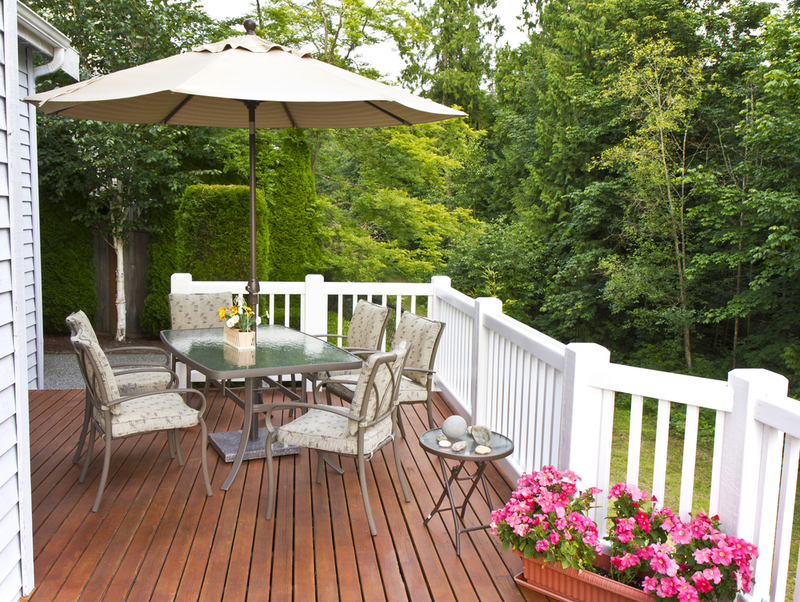 Stains are tinted with pigment, which will help protect your wood from sun damage while keeping your deck beautiful. Pressure washing blasts a powerful stream of water at the surface of the deck to remove all of the stubborn dirt from every nook and cranny. It’s much more powerful and effective than routine cleaning. Schedule this service with a professional at least once a year, ideally just before you seal your deck. Composite decks get dirty also but remember you cannot use high pressure to wash them you much use a lighter and softer type of wash and that is why using a Professional do the cleaning is suggested. When you’re ready to schedule power washing for your deck or patio, turn to the team at The Powerwash Guys in Milford, CT. With over 25 years in the industry, they specialize in high-quality residential and commercial power washing services at affordable rates. Give them a call today at (203) 783-0404 to speak with one of their friendly customer service representatives and schedule an appointment. Visit their website for more information about their power washing and graffiti removal services. Why Do Deck Stains Peel?